Home Giveaways	[Ended] 500th Blog Post Celebration – I’m Giving Away 7 Lingerie Books! A couple of days ago I was checking out how many posts I’ve published and, counting those over at my previous lingerie blog Knickers and Bows, it just so happened that it 499. Honestly I had no idea it was that many, where do I find the time? 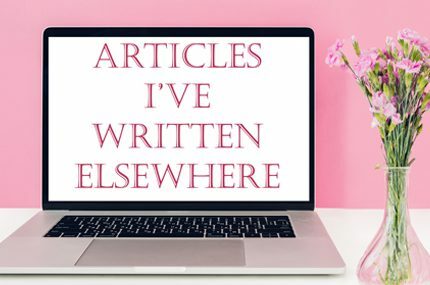 I haven’t written every single one myself, but I have most, and I’ve done a spot of guest blogging and freelance writing for other lingerie sites too. So, anyway, I figured I ought to do something special for the big 500th! 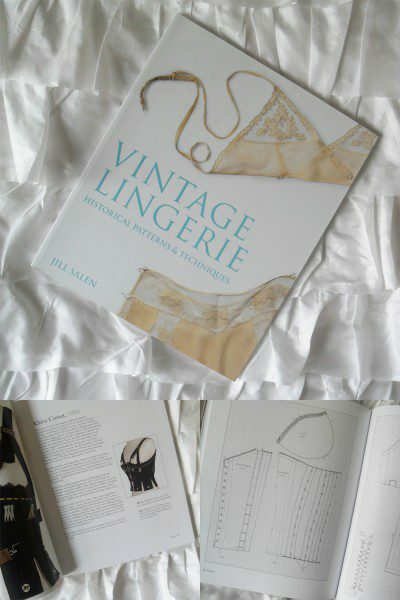 Something else I stumbled across recently was my collection of lingerie books. Once upon a time I got through two novels every week but nowadays I’m lucky if I finish a book within 6 months. These ones have all been hidden away unloved, and in most cases unread, and it just seems a shame for them to stay that way, but I know I’m not going to have the time to read them myself. When I asked on Twitter it seemed quite a few people were into the idea of a giveaway, so voilà. There are 7 books and you can enter (and win) multiple giveaways. All giveaways are open worldwide, and these are personal items I’m giving away – the authors and publishers of the books are unaffiliated with this competition. Most of these books are unread and effectively brand new, but a couple are not so please do read the descriptions below. In unread, ‘as new’ condition, this book contains 30 examples of lingerie from 1850 to 1970 along with sewing patterns so that you can recreate each one. There’s everything from a 1950s overwire bra to a pair of 1850 pantaloons, and even an unusual 19th century corset that was probably worn for breastfeeding. It’s aimed at someone who is already confident and experienced at sewing and pattern-cutting. Also unread and in ‘as new’ condition, this book contains clear, step-by-step guides to sewing 14 different garments including tap pants, nightgowns and low-impact sports bras. 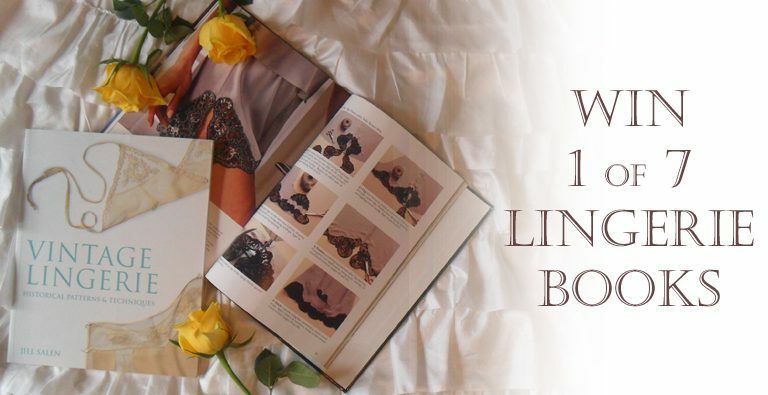 It also has extensive information on things like selecting the right fabric and elastic, and how too sew seams and finish edges, so it’s perfect for someone who is just getting started at sewing their own lingerie! This book has been flicked through but is in almost perfect condition, with just a tiny tear to the paper cover. It interviews 30 contemporary, luxury brands such as Fleur of England and Andres Sarda, and is simply brimming with gorgeous photographs – a perfect coffee-table book to flick through now and then! In unread and almost-perfect condition. This book was published in 1997 and would be great for someone with a passion for lingerie from the 80s and early 90s! It’s mostly a picture book showcasing what was contemporary lingerie at the time, with noteworthy designs from well-known brands such as Wonderbra, Gossard and La Perla. 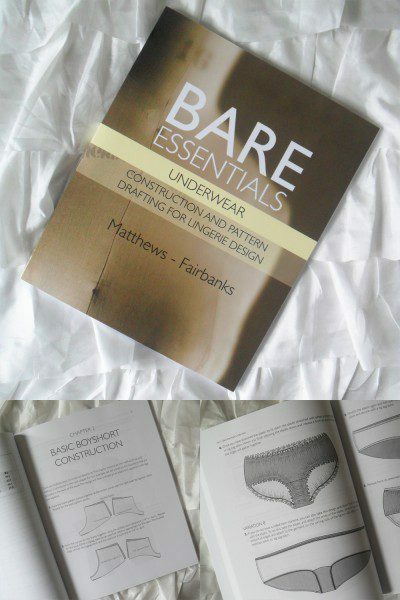 Another unread and ‘as new’ condition book, this is aimed at beginner to intermediate sewers and has step-by-step tutorials for different knicker styles – boyshorts, briefs, French knickers and so on. There is also a more advanced section that covers grading patterns into different sizes, and the back of the book contains actual-size patterns that you can cut out and use! This has been read and has some wear and tear to the paper cover, but there’s a perfect-condition hardback cover underneath. It’s a sweet little book by La Senza that contains tid-bits of information on lingerie history, bra fit and how to care for your smalls. This supersized, hardback book was a gift from the brand but will only get destroyed by my son if I keep it on display, so I’d rather it went to a better home! On that note, he has managed to scratch the back cover already but it is otherwise unread and in good condition. This is a purely-photo based book showcasing many of the popular styles by this classic corset brand. Once you’ve commented, don’t forget to click through to the Rafflecopter widgets linked above for the books you’d like to win and record your entry officially, so that it gets counted. You’ll also see a few ways to gain bonus entries once you’ve done this step. Good luck, and here’s to 500 more blog posts! You’ve done so well. Always enjoy reading your posts. Congratulations. I think that my favourite post in your blog is the one in which you compare the fit of different styles of bras, with different cup seams and shapes. It’s so informative! Also, I love your reviews of Agent Provocateur bras: it’s one of my favourite brands (if only I had the money!) and I like learning more about their details! Thanks Sofia, that’s probably my favourite post I’ve written. Also, your blog looks awesome, I will be checking it properly out soon! My favorite posts are your lingerie design competitions! It’s a great way to give that little push to people who are interested in the field of design. Personally, I just had a slight interest in lingerie design but the unpretentiousness of the contests inspired me to create, enter, and become a finalist for one of my designs. These contests are also a great medium to see how other artists around the world interpret your criteria. My favorite posts are the lingerie design competition! It’s a great way to push people out of their comfort zone of ‘just appreciating’ designs to actually completing and sending in a design sketch. Personally, due to the unpretentious nature of the contests, I entered my first lingerie design ever and surprisingly made it as a finalist! I also enjoy how it is an international competition to see how others around the world interpret the design criteria! Thank you, I have so much fun running the competitions! 🙂 Unfortunately there won’t be one this year, but it’s returning spring 2017. Your bras without wires review was my favorite. It was a great intro to a brand I’d never heard of, and I love in general how you highlight unusual construction or styling details in your reviews. Your detail in general is just the right amount for me (more info than others usually provide but not too long as to be boring). I’ve seen plenty of reviews of lingerie washes, but yours was the first I saw comparing two brands, and I liked how your bra washing experiment showed specifics of what happens in the dryer or machine. Aw thank you 🙂 I do worry my reviews are too long sometimes, I’m a bit of a waffler, so glad to hear you find them to be the right amount of detail! Congratulations to your 500th post! Wow! I can’t imagine when I’ll reach 500 posts. It’s incredible!!! Congrats!! Also because 500 well written posts are a LOT of work. Congratulations on reaching 500 posts. I have only recently discovered your blog and find it both useful and fun to read. I am still working my way through your older posts and finding much of value. I can’t pick a single favorite as there are so many. I like that you include information for all types of gender identity and expression and that your reviews include all price points. Wooh ! Five hundred posts! I would have to say that my favorite post is when you compare all the different styles and the silhouettes they give. Favourite is hard to pin down. Enjoy your interviews and reviews mostly. I loved your post on washing and tumble drying your lingerie using multiple bras, it was a great visual on the damage that can be done to them. It’s pretty hard to pick a favorite as I’ve only recently found your blog, but I quite like that you wrote about the stockings for sensitive skin! I’ve been looking for a rec and that’s how I came across your blog! It’s hard to pin down my favorite as I recently started reading, but I love that you did an article on hosiery for sensitive skin! I have been looking for a rec and it’s how I originally found your blog! Ooh, this looks so lovely!! I was tinkering with the idea of making my own lingerie esp. since I’ve seen other fabulous sellers on etsy doing it and I do love vintage styled lingerie so much! I can’t wait to enter this!! My favourite blog post? Eek, that’s a difficult one! I did love your Impish Lee review, and your list of your favourite bras was also a really awesome one – it’s so hard to pick! ted baker pure peony post i like since the colors and design are very pretty , thanks .